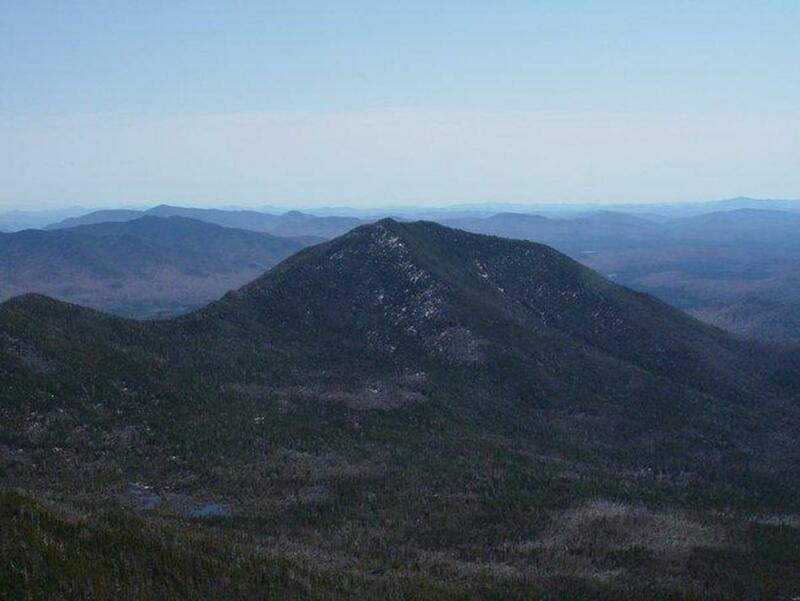 On Thursday, August 9, my hiking pal, Kory, and I decided to head up to the Adirondacks to knock off two more of the forty-six high peaks in the area. 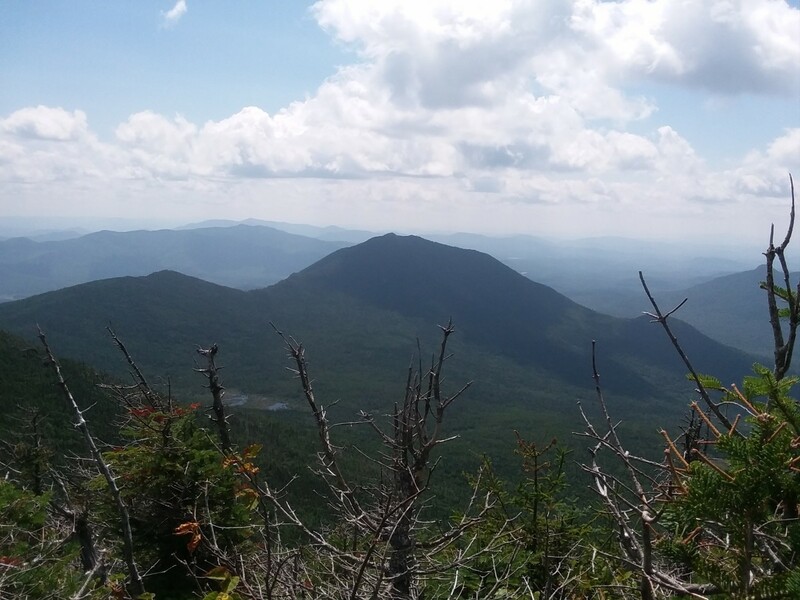 The weather was going to be in the high seventies and low eighties with a small chance of rain during the late morning hours, so we figured we would have a nice day to hike and good views from the summits. The two mountains we had planned were Cliff and Redfield. 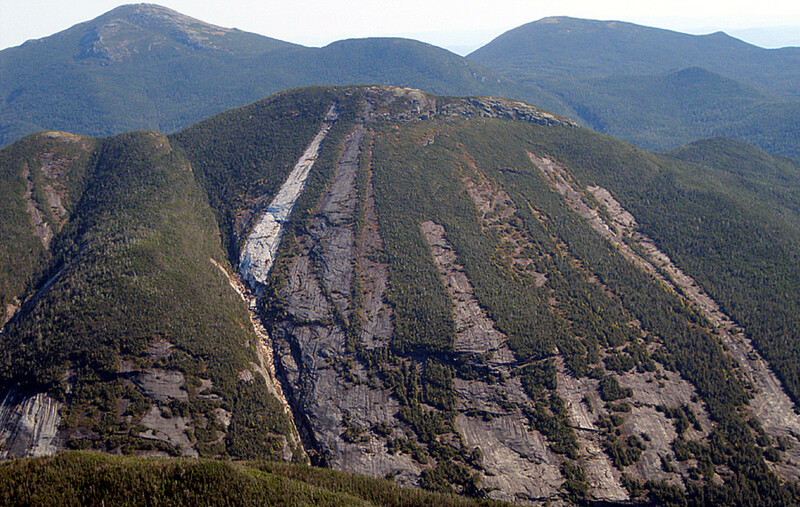 Cliff is the forty-fourth highest peak of the forty-six with an elevation of 3,960 feet and Redfield is fifteenth at 4,606 feet. 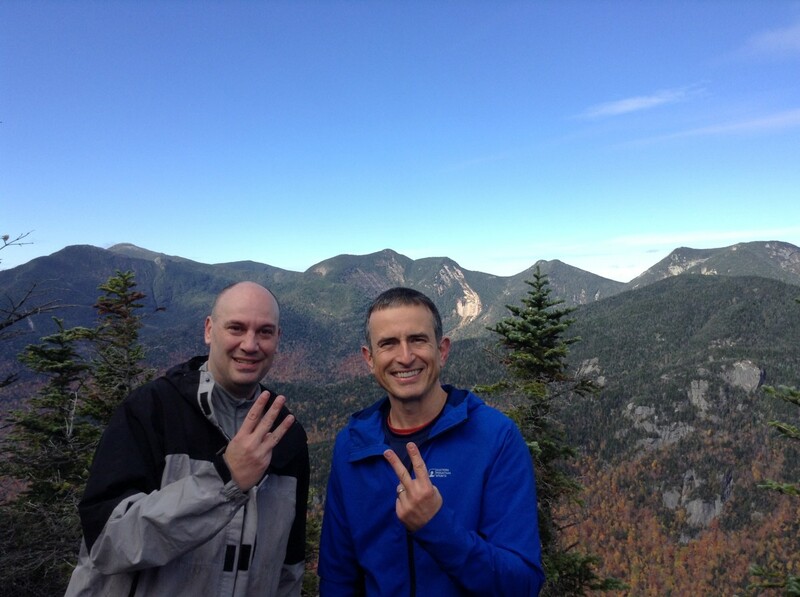 These were going to be our thirtieth and thirty-first peaks finished. 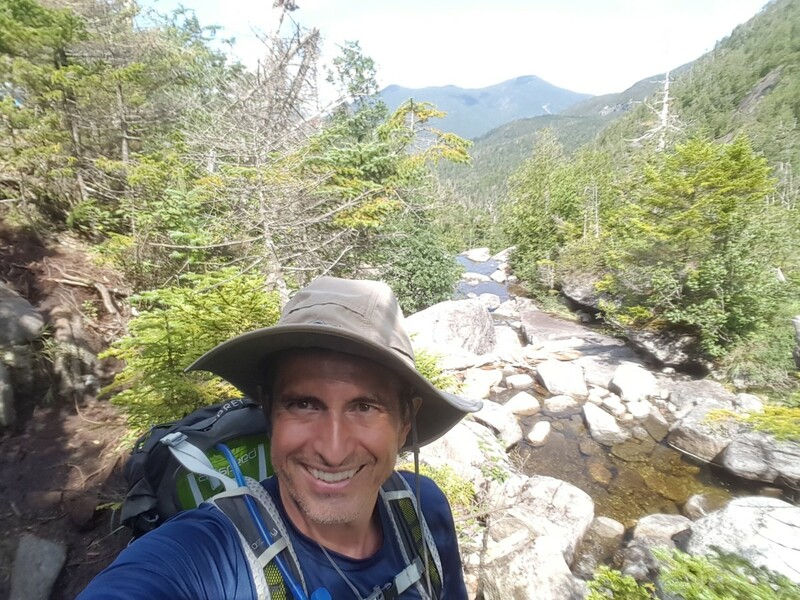 We had done a few other grueling hikes so far this Summer including Allen and the Santanoni Range, and each time was pretty draining because we did them as day hikes where we drove the three and a half hours up and then hiked. We decided to stay up in the area the night before but weren't big campers, so we grabbed a room down in Long Lake, which is only about forty minutes from the trailhead. We booked a room at Adirondack Hotel on Long Lake and it was a quaint little place with a pretty lively bar just off the lobby with some live music playing when we rolled in. The staff was very accommodating and they have a huge moose head and stuffed bear right in the lobby. Both of us were up about thirty minutes before our alarms and were out of the hotel by 6:15 a.m. We were eating breakfast on the way to the trailhead and took 28 north until it hit Tahawus Road on the left. We turned and took that road for about five minutes before coming to Upper Works Road on the left and turned again. Upper works winds it's way through the woods and you pass the Santanoni parking area on the left and the Allen parking area on the right before coming to the end of the road and the trailhead. We guessed there would only be a few cars like there were at Allen last month, but were surprised to see about twenty vehicles. With so many lean-to's on the trail though and the options that this trailhead allows, many people were hiking and then camping out in the area and this is a popular destination. 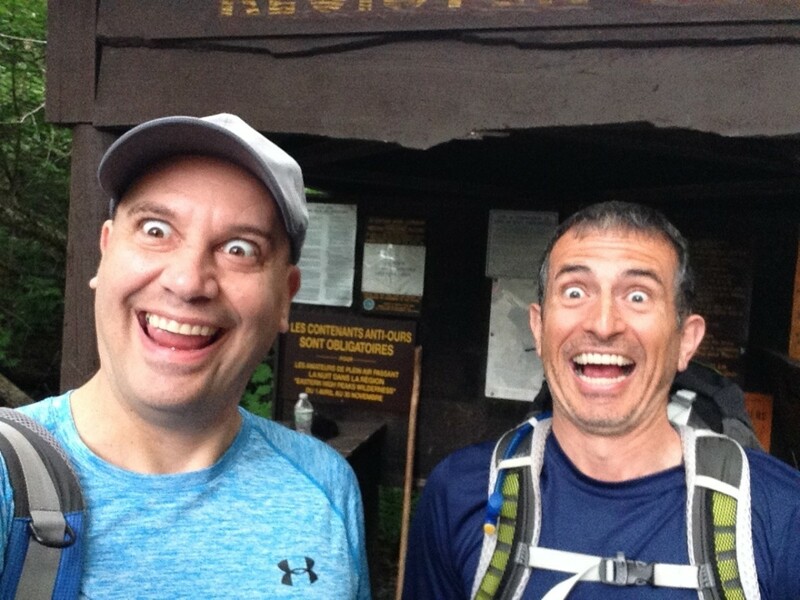 We were geared up, signed in, and on trail at just after seven a.m., seven ten to be exact. The trail is pretty flat early on, a little rocky at first, but it gets softer a few minutes into the hike. On the flat section, the trail follows the brook up for about 1.6 miles until you come to a bridge crossing. There is a sign there that tells you that distance and it's handy to have on the way back. 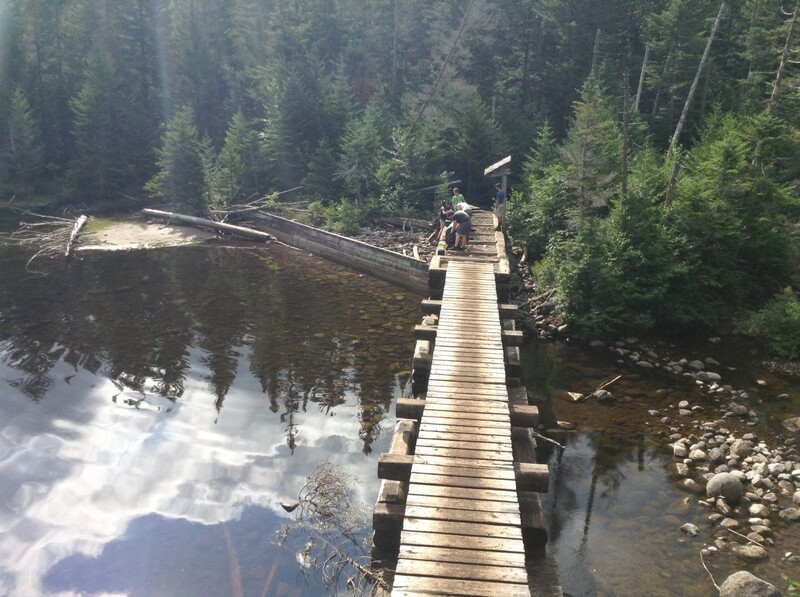 It took us about forty minutes to reach this point in the hike and we went across the bridge following signs to head towards Mount Marcy. About ten minutes after the bridge, the terrain turns rocky. 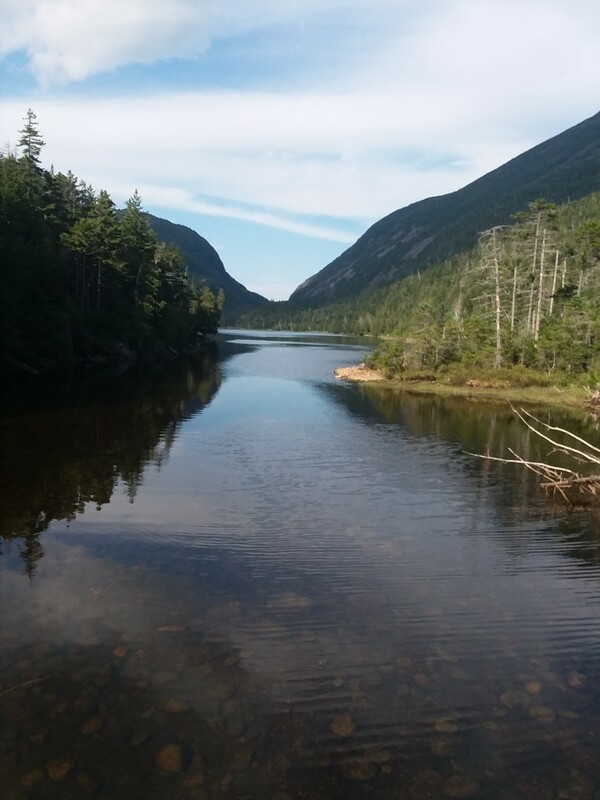 We thought we were going to be taking a nice gentle walk through some clear, flat trails to get to Lake Colden. Boy, were we wrong. 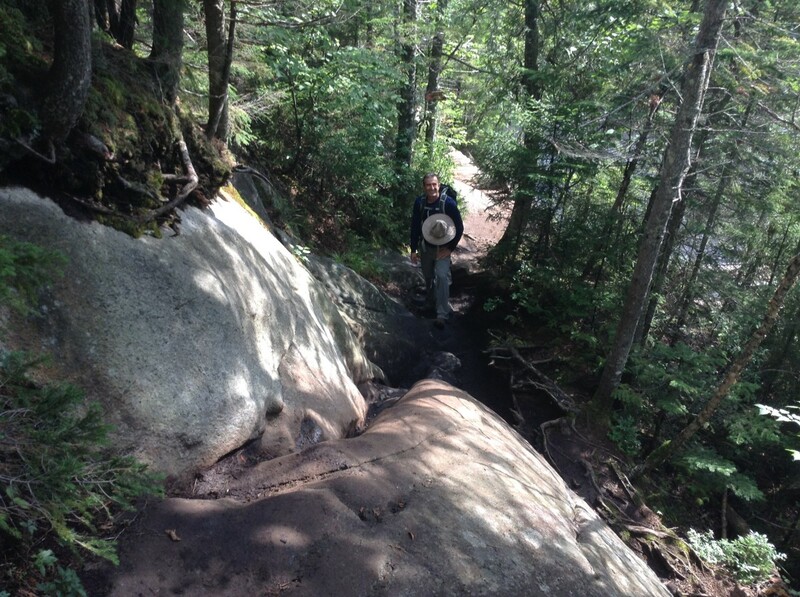 The trail starts with some moderate elevation and some light mud areas and big rocks all across the trail. At the hour and forty minute mark, there was a right turn in the trail and a spur that opened a little to the left. 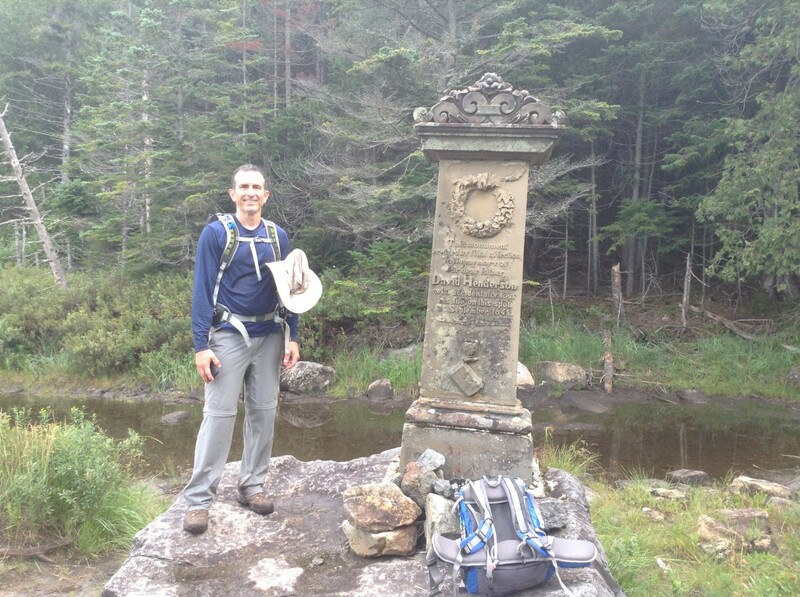 We peaked out to the left and found the Henderson Monument and took a few pictures there before getting back on trail. Twenty minutes after the Henderson Monument and lots more rocks, we reached the second sign in book. There was a lean-to (Calamity Lean-to) here up behind the sign in book and there were some kids there who had done Cliff and Redfield the day before. The trail continued straight to a view of a lake and then continued up and to the right to two other lean-to areas (Flowed Lands and Griffin). The trail we wanted though was directly behind us as we were signing in for the second time. 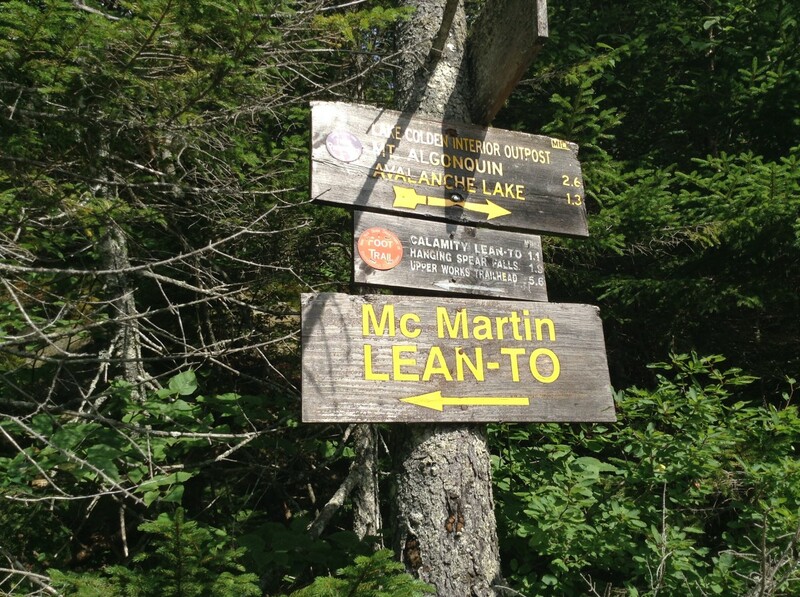 So as you come to the sign in book and the lean-to is to the right, the trail to Lake Colden is on the left. The signage there lets you know that you've come 4.5 miles to this point and it took us an hour and fifty minutes to get to this point. We spent ten minutes heading up and right towards the lean-to's before realizing we missed the turn off for Lake Colden before backtracking and getting onto the right trail. The next forty minutes (1.1 miles) is some light up and down through the woods with the lake on your right. 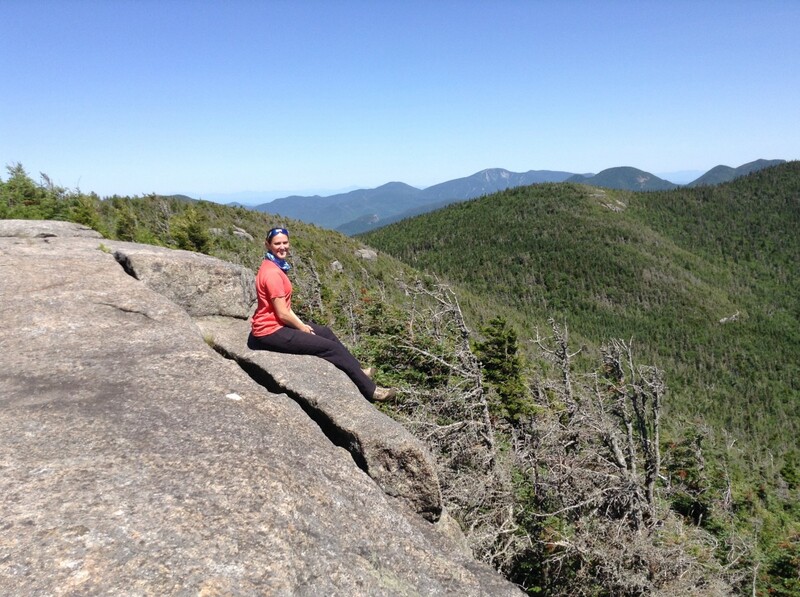 We came across an older couple hiking out and they informed us that the wife had just finished her forty-six during this hike, on Skylight, Grey, Cliff, and Redfield. She was a rockstar to get those in and might have been the most impressive thing we came across all day. 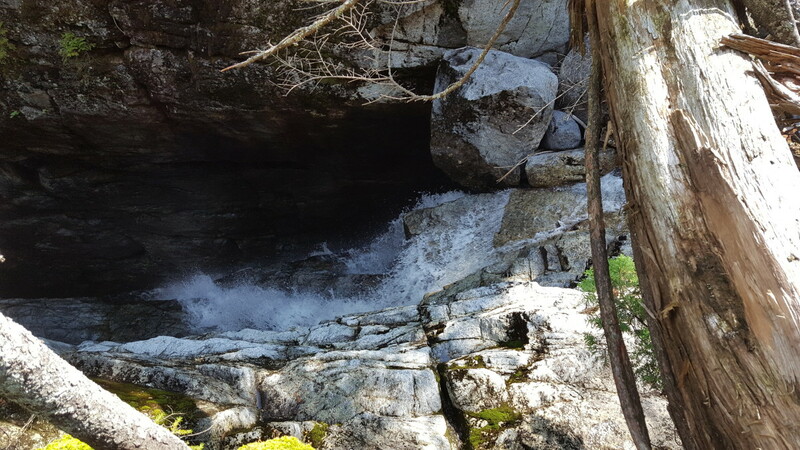 Right before the lake, there's a tricky little decent (see below) with a thin crack in the rock to help you down, or grab onto your foot and help you break an ankle. Either way, be careful here. Once down on flat ground, you've reached Lake Colden and the sign that tells you that you've gone 5.6 miles to this point. 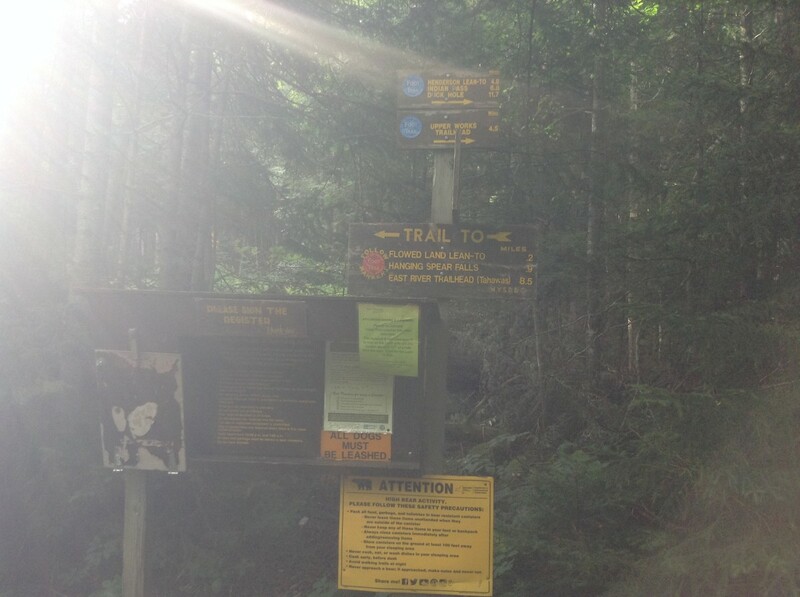 There's a little wood ladder opposite the signage and that's the trail you'll need to head over to Cliff and Redfield. We descended down the ladder, came across some hikers and then turned left and headed up along another brook. It had taken us two hours and forty minutes to reach this point. 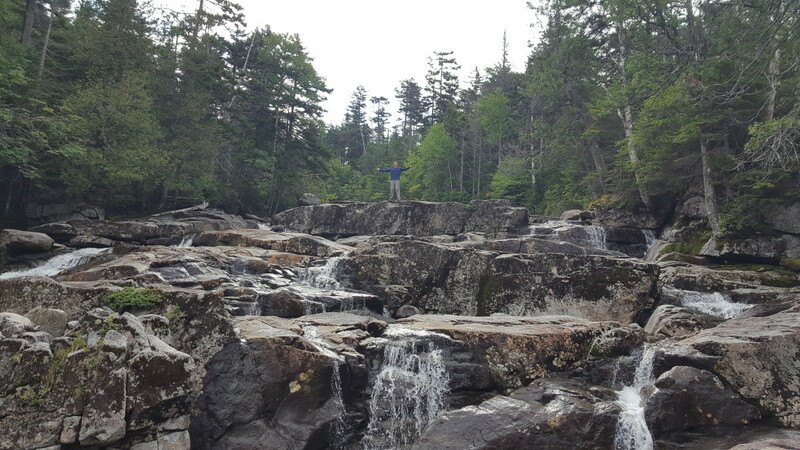 Ten minutes after the signage at Lake Colden, we came across a pretty nice waterfall area on the brook. We stopped to grab a photo and to rest my legs a bit. I had hiked McKenzie and Haystack five days earlier and thought I had recovered, but my right quad disagreed and was threatening to cramp up. 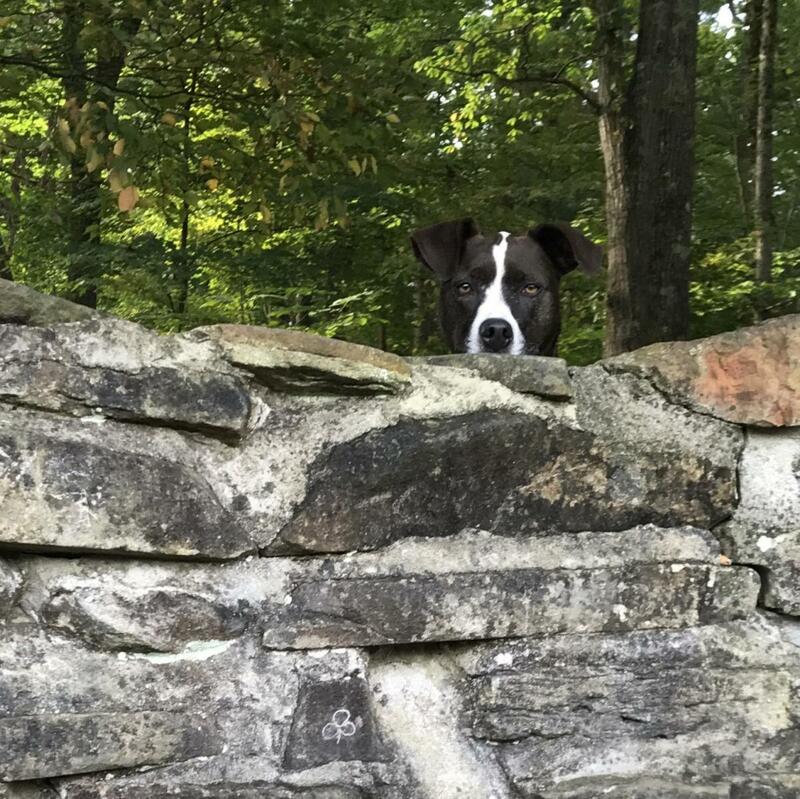 So I knew I was going to need to be careful on the rest of this hike. The trail continues up and along the brook and there are a few other cool overhead waterfall shots we grabbed while walking. The trail winds along the brook at times and also in and out of the woods at times. This 1.8 mile section took us about an hour and forty minutes to hike before we came to the first cairn for the turnoff to Cliff and Redfield. It was 11:10 a.m. and we had been on trail for four hours to this point. 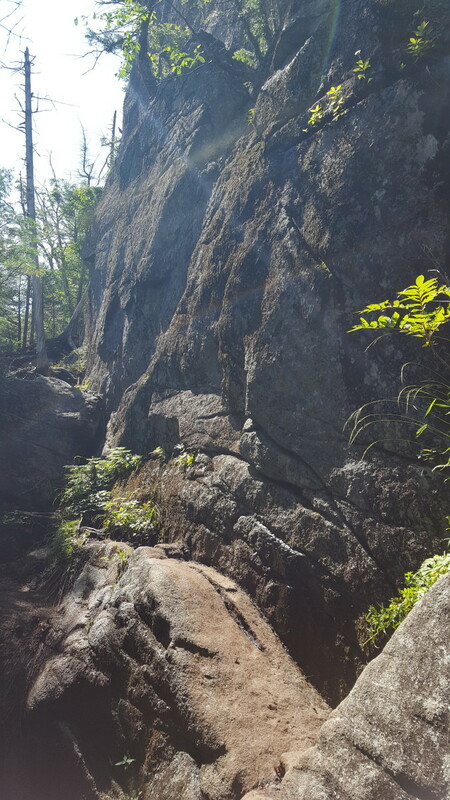 After turning right to head towards Cliff and Redfield, it's only a few minutes before coming across the second cairn that is the split for the Cliff trail (right) and the Redfield trail (straight). Our plan was to get to Redfield with the clearest weather possible since we read that the views were better there than at Cliff. So we looked up, saw a clear sky and went straight ahead and up towards Redfield. 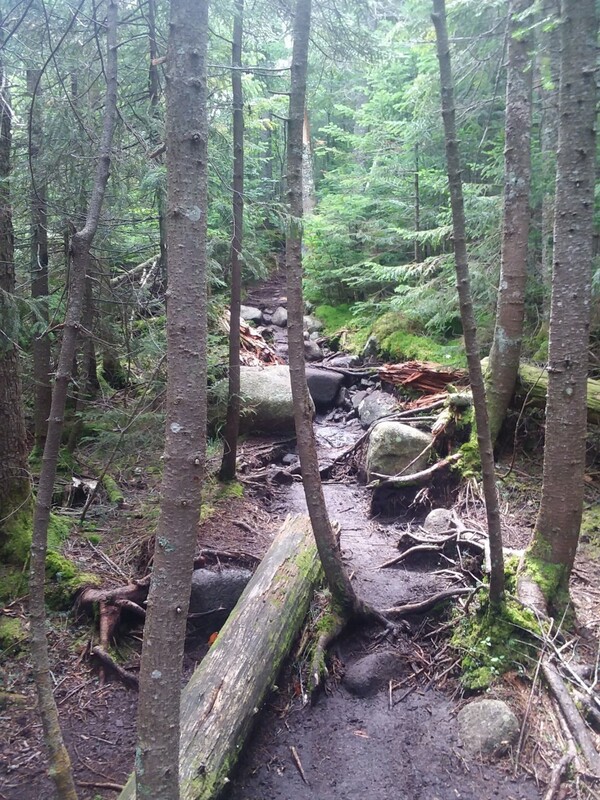 The terrain up to Redfield takes you in and out of another brook and is just a constant uphill trek. There's nothing too technical in this hike, much like the entirety of the hike to this point, it's just one upward step after another. At one point, the tree line opens up and affords a nice look back straight down the brook at Colden. It's a good opportunity for a photo opportunity. 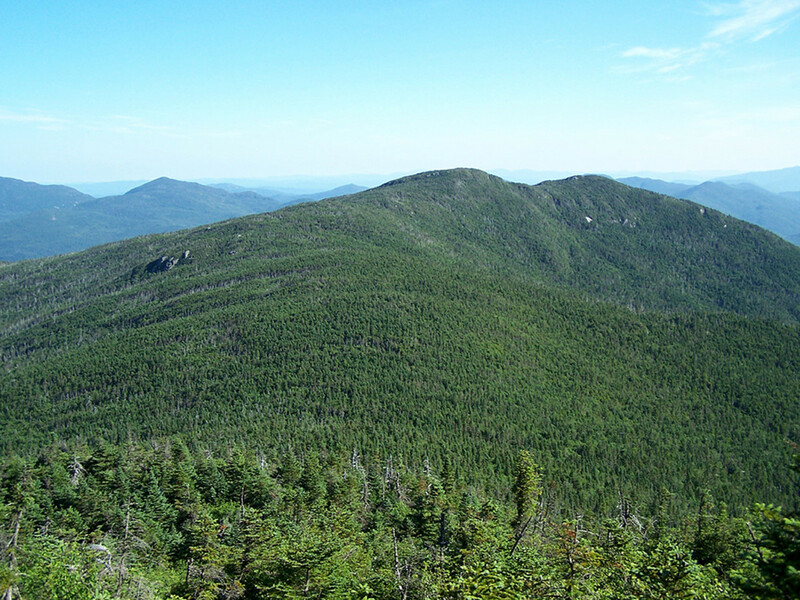 After that, the trail turns off to the right away from the brook with about twenty minutes to go and you hit the summit. 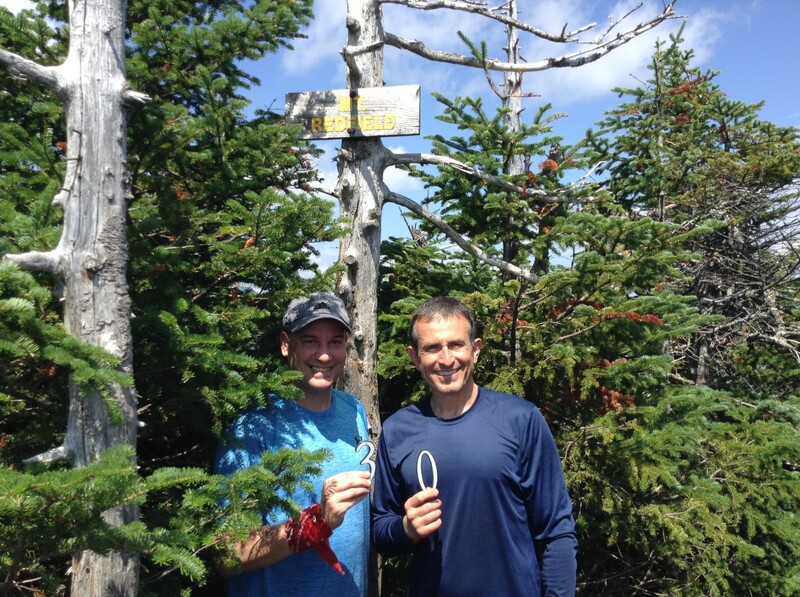 We hit the summit at 12:25 p.m. and spent about twenty minutes up there eating, taking pictures and socializing. By the time we left the summit, there were seven people crammed into the tiny area around the summit signage. But, we had #30 in the books. Just past the summit sign, there's a cool lookout point and a large boulder to climb up and sit on if you're just looking for a place to be out of the way and rest. This is the best place to take photos and there's a nice view towards Allen. We headed down Redfield and made it back to the cairn split in about fifty-seven minutes, arriving at 1:42 p.m. We grabbed a quick snack and turned onto the Cliff trail and were met immediately by a large mud bog. 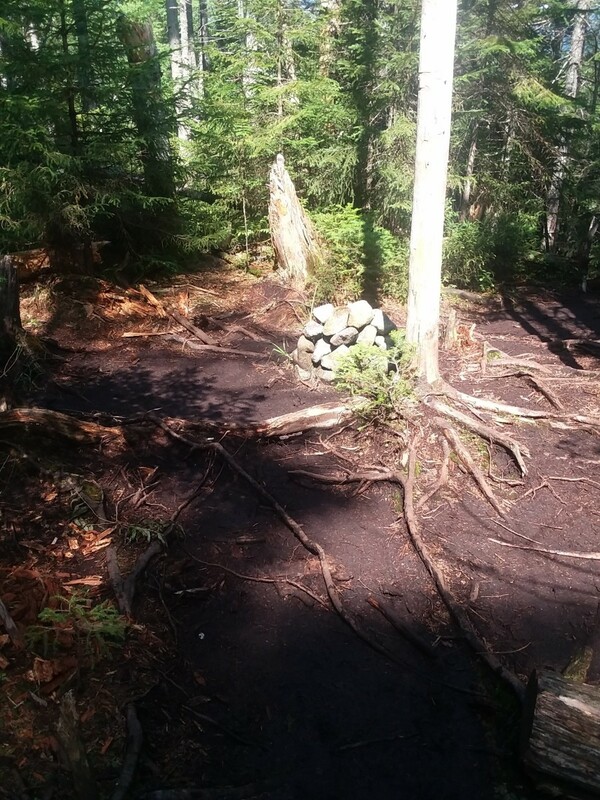 There's some erosion out to the left that's easy to navigate, but for the brave, it's almost impossible to avoid a muddy step during this part of the hike, so go ahead and try and go across the bog. Shortly after the bog, the elevation begins and it's a nice slope up to get to the cliffs on Cliff. 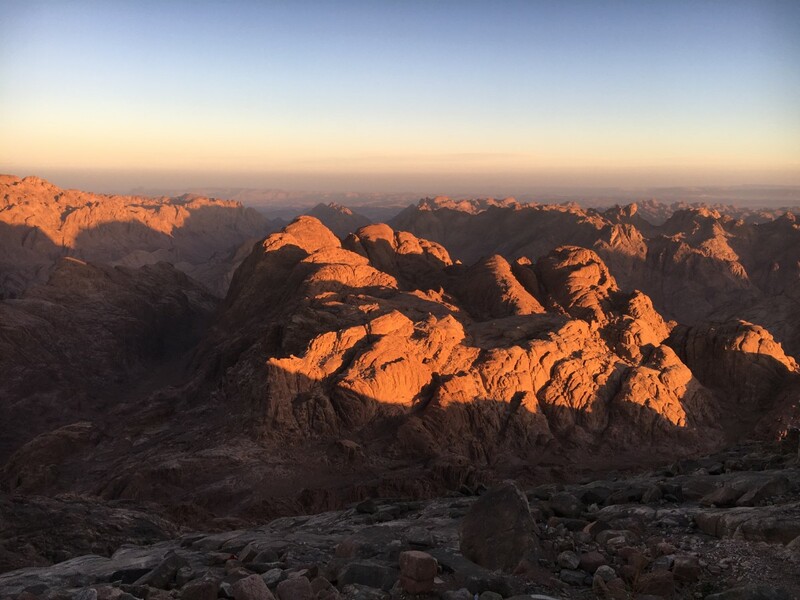 Reading other reports, we knew there were going to be multiple technical climbs and about thirty minutes in, we hit the first one. There is one big cliff to start, then a series of cliffs one right after another that we labeled 2.0, 2.1, and 2.2 cliffs. The worst one was the one pictured below as it didn't have great hand-holds, only a little crack going right up the middle of it that you need to use to anchor yourself as you climb. After that tough ascent, there's one more little cliff ledge before you come to a false summit and a bunch more mud. You'd imagine you'd be done with mud, but it's either cliffs or mud on this mountain. After the mud, there's a small descent before one more climb that takes you another ten to fifteen minutes before coming abruptly to the very small summit of Cliff. There's not much room up on the summit and we found a water bottle that someone had left up there. 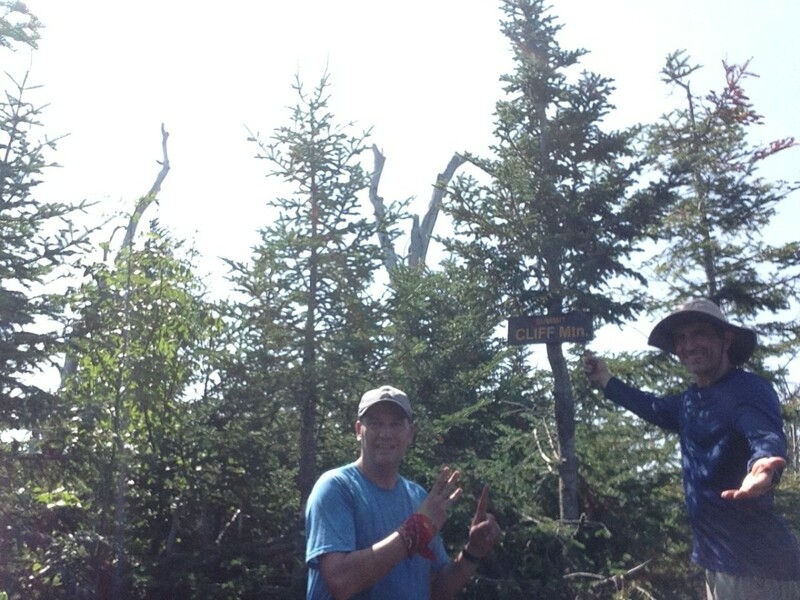 We reached the summit at 2:52 p.m., so the ascent only took us an hour and eight minutes from when we left the cairn. We stayed up there for about fifteen minutes and then started the descent down. 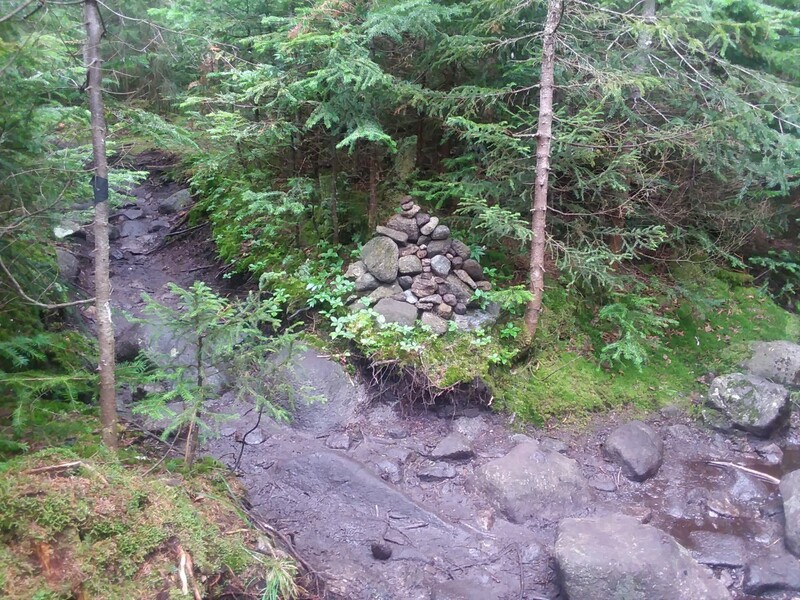 The trip down began at 3:05 p.m. and we were back to the first cairn at 3:55 p.m. and the second cairn by 4 p.m. Then it was back down the 1.8 mile stretch along the brook where we ran into a guy looking for the water bottle we found. I had run out of water up at the top of Cliff, so I took a moment to break out my filter and to fill up a plastic water bottle I was carrying. We made a stop at the falls to fill up the rest of my pack with brook water so I had reserves if we needed them and hit the bridge crossing at Lake Colden at 4:55 p.m. We stopped to take a good look at the lake and up at Colden while also debating jumping in to the refreshing water and cooling off. After deciding against getting too wet, we made the 1.1 mile segment back to the second sign in book and that took us thirty-one minutes. We took a few minutes to sign out before making the last slug out by 5:28 p.m. We eventually made it back to the parking lot at 7:10 p.m. for a total time on trail of twelve hours. Once signed out, we checked our steps on our Fitbits. For Allen, I had hit 50,000 steps and for this one it was at 55,000. We figured with both peaks, we were right at about twenty miles and were pretty tired. There is a brook right by the parking lot, so I went down and rinsed off all the mud and changed into fresh clothes there. If felt good to be somewhat clean for the three hour drive home. All-in-all, it was a pretty enjoyable hike. 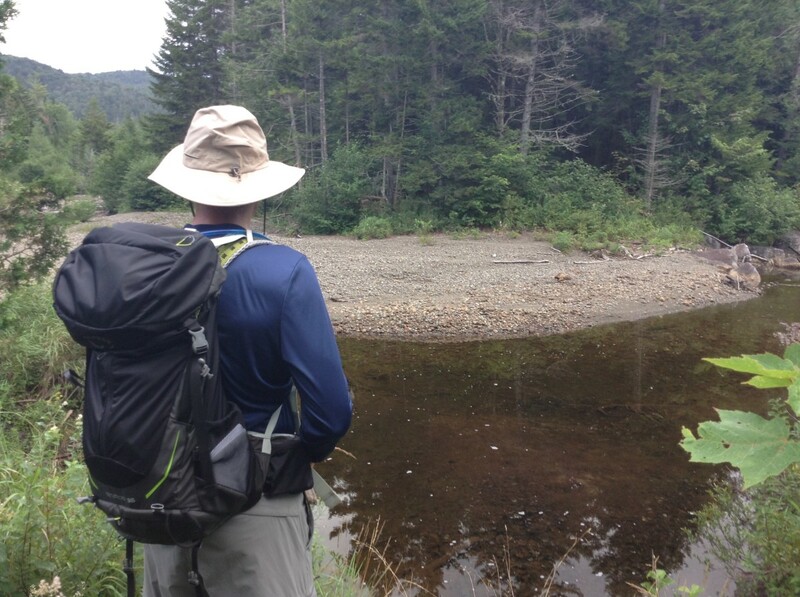 It was long and the terrain was rough on the body, but there is plenty of water along the way to fill up. As a note, both of us went through five liters of water on the day as it was closer to eighty and the sun was on us for good portions of the hike. I was also taking in more water than normal because when I felt the tinges in my quad at the three-hour mark, I was fearful of cramping so started taking in higher quantities of water to avoid that scenario. 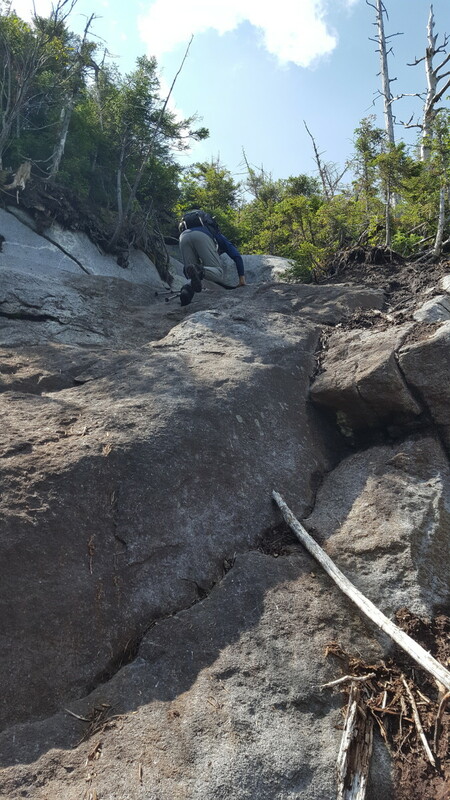 The technical aspects of Cliff were actually really fun and the moderate slopes to Redfield combined with solid views and number of hikers encountered still made this a very fun, yet taxing hike.